Three waterfalls harmonize to the dance of hundreds of day lilies surrounding the Langsdorf’s water garden. 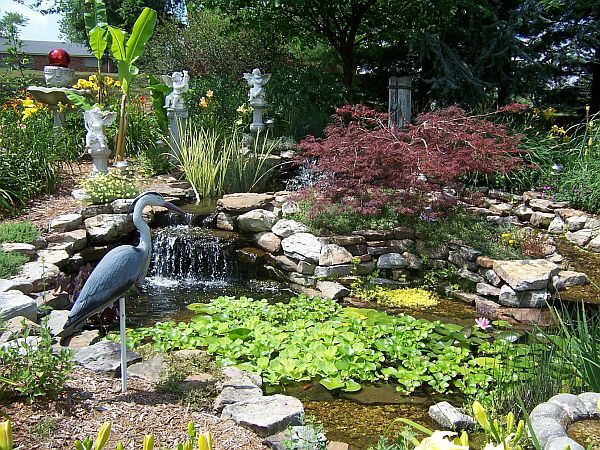 Large koi swim in the pond next to a flagstone patio where one can enjoy a small stream and more flowers than one can comprehend. 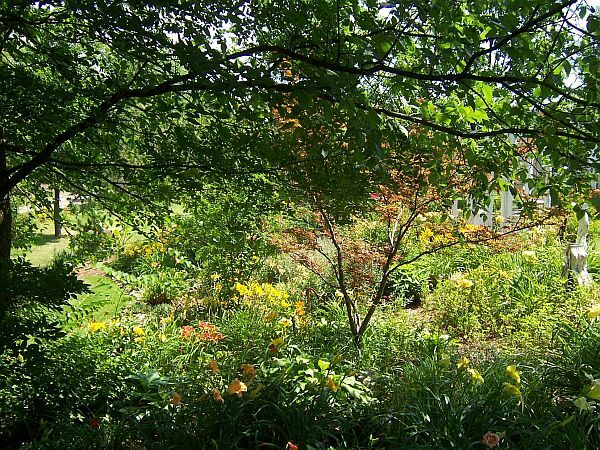 You feel the love of a gardener when you visit this oasis. – Special features: Three waterfalls, a stream and lots of day lilies! 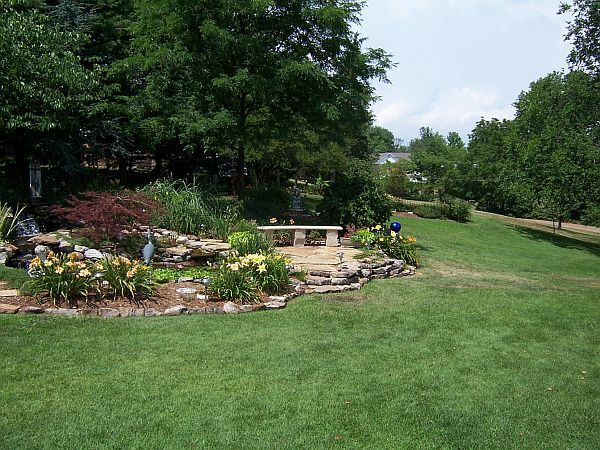 The Langsdorfs have shared their water feature and gardens on our Pond-O-Rama tours the past two years. Jerry takes care of the pond and Bess loves the gardening. Day lilies abound! 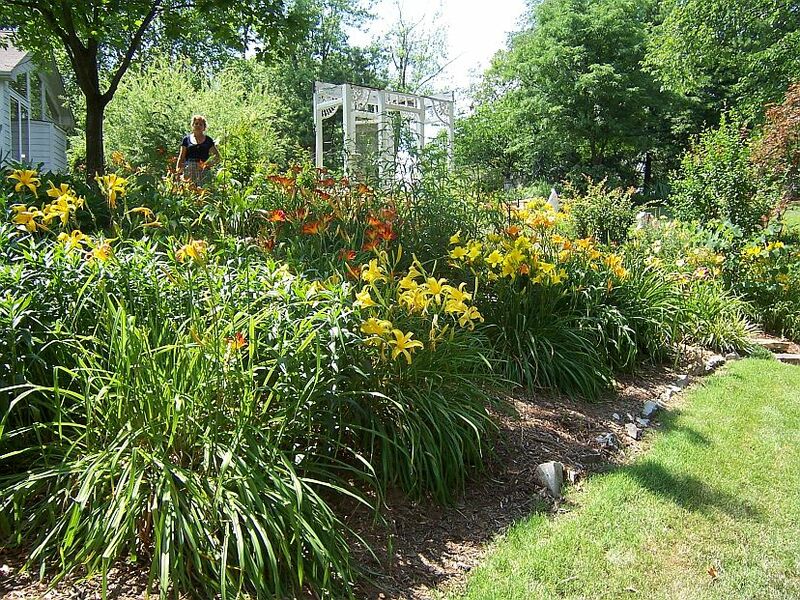 There are over 300 different day lily varieties in the yard, all meticulously identified. In the fall, Bess divides and labels them to share with her friends. With so many different flowers, you might expect a field of blooms without grass, but lovely open areas balance the gardens. The variety of blooms is fascinating. Some have very short, wide petals; others are long and narrow; still others have unusual edges. 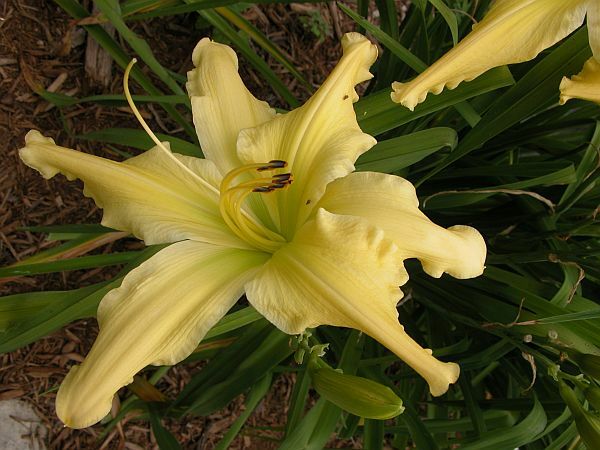 When the day lily blooming season ends, Bess has planted many other flowers. 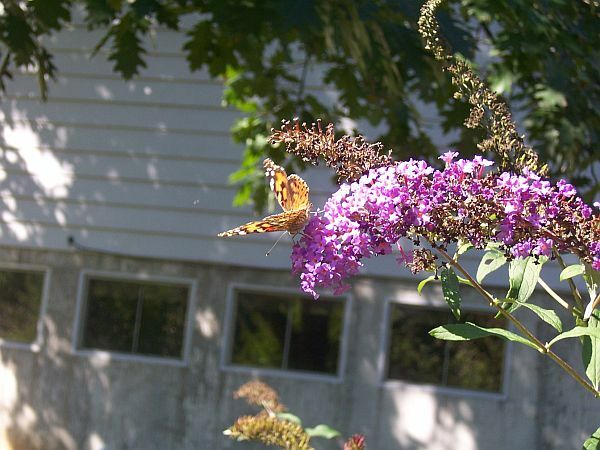 Obviously, it’s a butterfly’s paradise!